The exciting features on the smartphone mean more and more data buildup for the users. The volume of data could become overloaded overtime or probably, there’s a new release, and you’ve joined the craze. Yearly release means the transfer of data to a new upgraded device and the deletion of unwanted data. There are numerous DIY methods to destroy iPhone data that you don’t need anymore. Also, there are comprehendible eraser tools online when things get ugly beyond DIY. Part 1. Are There Any Ways or Tools That Can Destroy iPhone Data? Are There Any Ways or Tools That Can Destroy iPhone Data? 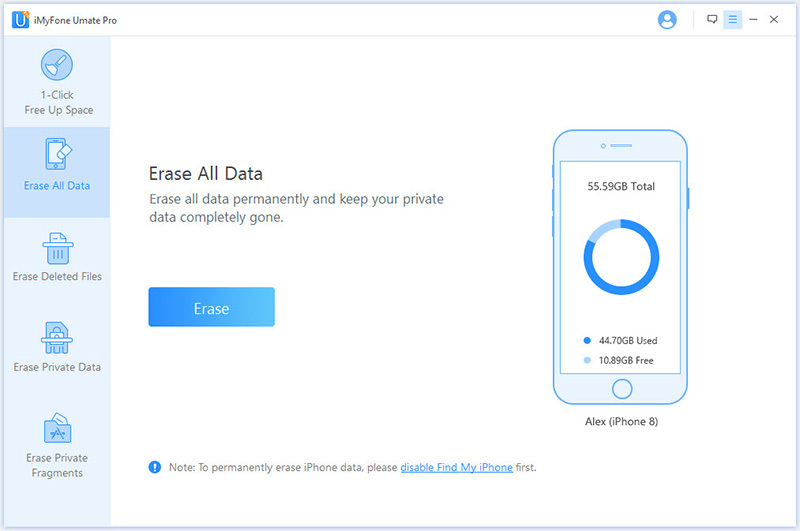 When you don’t need all the data or just some of them, you can erase them from iPhone or you can totally destroy iPhone data with third-party tool to ensure no recovery of these data. Of course, you can make a reset via settings or erase content one after another. Sadly, it’s never that easy. Your private data is never completely cleared with the inbuilt feature-restoring to default settings or reset. Normal reset will never wipe deleted data completely. They can be retrieved through another procedure. And if carried out by another party without your approval - there could be data leaks. Our worst nightmare! So, to factory reset your iPhone is just an incomplete deletion, so as to erase data with iTunes or iCloud. The only way to destroy iPhone data completely is to apply a third-party tool to perform the task for you. So you don’t have to worry about any of your iPhone data will be recovered by any means. In the earlier paragraphs, you’ve read about how you can destroy iPhone data completely. If you want to perform this task in a safe and easy way, then iMyFone Umate Pro comes to help. 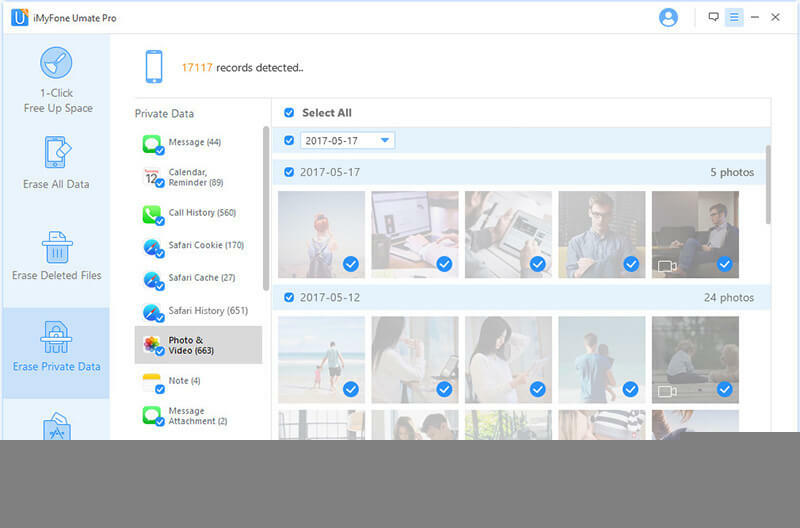 iMyFone Umate Pro is the ultimate in permanent data deletion and the real deal in data management. It prioritizes your privacy and valued data. It helps wipe data we believe is unsuitable for the third person. The job is simple of permanent mass deletion of iPhone data. It can help you destroy iPhone data permanently without any chance of recovery. 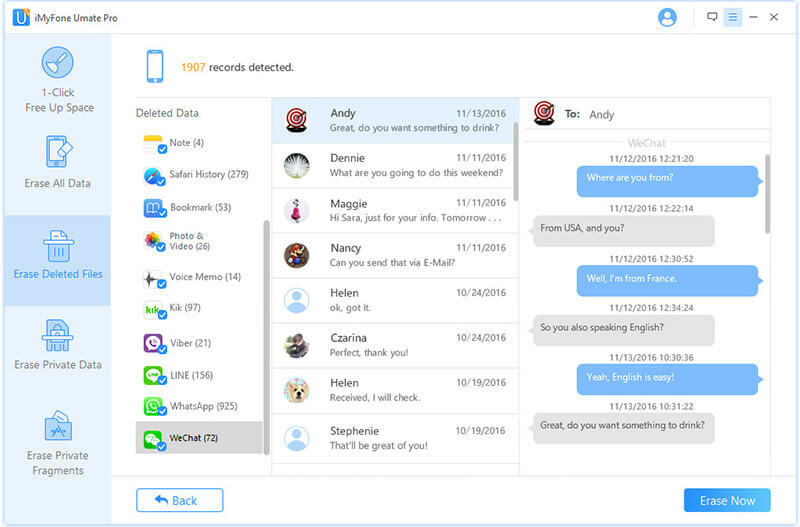 It can help you erase your private data like messages, photos, and call history selectively. It can even help you find out all your deleted files and destroy them truly out of your iPhone. It can help you clean out the private data in third-party apps that you might not even notice. 1Destroy All Data: It destroys all data on iPhones/iPads without damaging its iOS or disrupting default functions that are encoded on the device. With a few simple easy steps, the deletion is done in whole. Therefore, you save time and energy in deleting data you’ve stored for months. 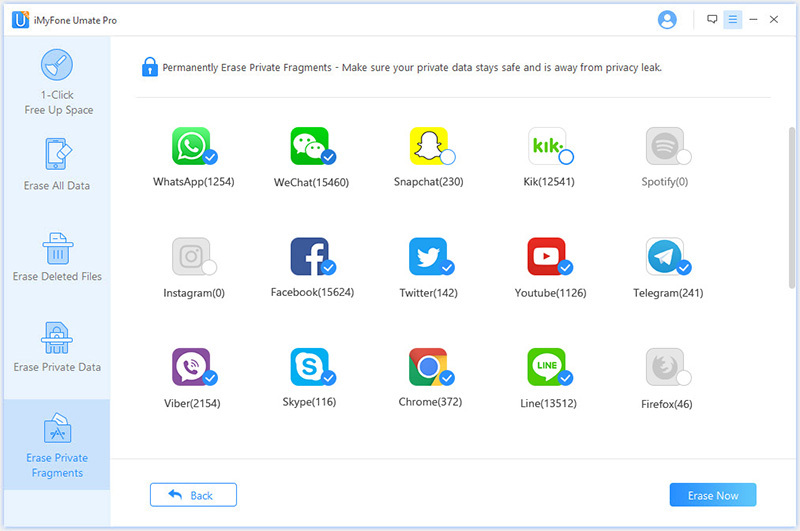 2Destroy Private Data: It permanently erases all private data from your device without a chance of recovery from anyone. It makes deletion of private data unrecoverable on every iPhone/iPad irrespective its volume and structure. 3Destroy Deleted Files: Umate Pro helps eliminate fragments of earlier deleted files from your device before you pass to the next user. It can never be recovered no matter what tips or trick applied on the device. It permanently deletes files once without remnant fragments traceable to you. 4Remove Private Fragments of Third-party Apps: Carefully removes pieces of all third-party apps on your device even after you’ve uninstalled. Facebook, WhatsApp, WeChat and the likes have heaps of cache and junks hidden in iPhones responsible for lags. Once deleted with Umate Pro, they’re gone for life! Whether you’re recycling, reselling or donating your iPhone in the coming days that you need to destroy iPhone data first, trust iMyFone Umate Por to get the job done in-no-time.